For new, old or ongoing odor problems. 100% natural, environmentally safe and harmless to humans, animals and plants. 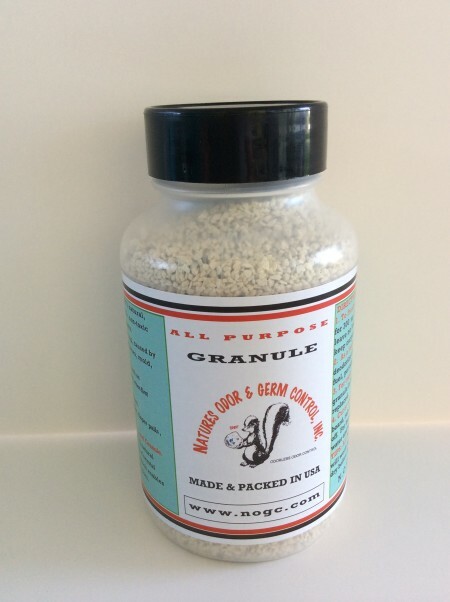 All Purpose Granule eliminates odors instead of covering them up, caused by smoke, pets, mildew, drains, food spills, perfumes, mold, bacteria, cooking, paint, etc. New carpet can emit various noxious gasses (such as formaldehyde, ammonia and hydrogensulfide) when first installed, that are objectionable to some. Use on carpets, area rugs, bare wood or tile floors. Also use in: washing machines to deodorize clothes, diaper pails, garbage disposals and ashtrays. For areas soiled by pet urine use dba N.O.G.C. Pet Odor Elimination Kit. 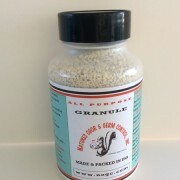 All Purpose Granules works like a magnetic odor sponge. A natural electric charge draws odors into and onto acres of crystal micro channels trapping the odor molecules which enables the material to adsorb phenomenal amount of odors.